Today we share with you another portion of these awesome pictures that will mess with your eyes and mind, making you believe things aren’t what they seem. You’ll see one thing, then you’ll realize you’re being tricked into seeing something that’s not even there! Can you see blue hearts here? Can you see the waves moving? In which direction is the picture moving? Which piece of text is darker? 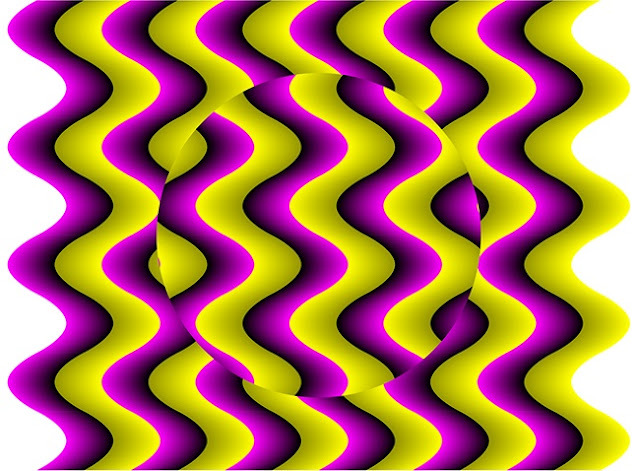 Is this illusion curving in or out? Does this illusion draw you in? Is this picture becoming brighter or darker? What’s wrong with this illusion?